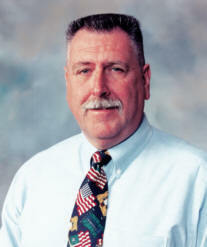 Mike Bumcrot retired January 2002 from the Los Angeles County sheriff's Department. He served for over 33 years. He began his law enforcement career after 4 years in the military. With less than three years of law enforcement service, he was selected to the SWAT team where he worked for 4 years. Mike was later transferred to the Detective Division and assigned to the Narcotics Bureau. Within 4 years, he was again transferred, this time to the Homicide Bureau where he worked until his retirement, over 22 years later. When assigned to the Homicide Bureau, Mike investigated several hundred murders, including some of the highest profile cases in the state. Ten of those cases were the murders of police officers. In 1995, he was chosen California Deputy Sheriff of the year by the California Organization of Police and Sheriffs (COPS) for the investigation, arrest and conviction of a suspect for the murders of 2 local policemen. Mr. Bumcrot has also investigated over 100 officer-involved shootings. Because of his experience and expertise in this field, he has regularly taught "High Profile Murder Investigations", "Crime Scene Management", and "Officer Involved Shooting Investigations" at police academies, advanced training classes, supervisor training, college classes, homicide school, and in service training. Although "retired" from LASO, Mike is currently working under contract with that agency, performing in-service training duties. Mike is also writing a book about an unsolved high profile homicide that, after it had been "cold" for 14 years, he was able to resolve with a surprising conclusion. Mike has a B.A. from the University of Redlands and is an active member of the California Homicide Investigator's Association (CHIA). He's also an instructor for the Robert Presley Institute of Criminal Investigation (ICI) and an alumni of the Colonel Henry Williams New York State Police International Homicide School.